A towering skyscraper of stone built without computers or complex machinery, the Great Pyramid in Egypt has fascinated historians and archeologists for centuries. A team of German and Russian physicists studying the properties of the Great Pyramid, also known as the Khufu Pyramid, have found that it can concentrate electromagnetic energy inside its hidden chambers and focus the electromagnetic waves into the substrate region, according to a study published in the latest issue of the Journal of Applied Physics. Built on the plateau of Giza in the third millennium BC by Pharaoh Khufu, the 138.8-meter (455-foot) high Great Pyramid is one of the biggest and tallest structures ever built by man. 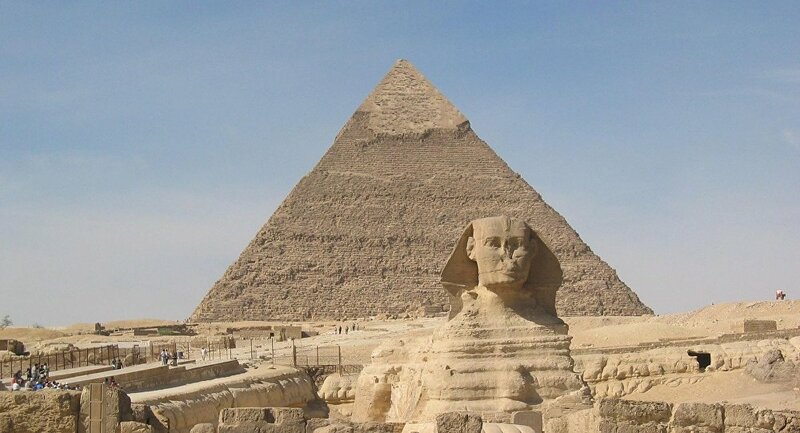 Over the past two centuries, scientists have discovered three chambers inside the Great Pyramid with one believed to hold the mummified remains of Pharaoh Khufu himself, another – that of his wife and one thought to be a trap for tomb raiders. Found inside the corridors leading to the King’s Chamber were strange looking canals and structures considered by modern-day scientists to be elements of an ancient “security system” guarding the Pharaoh against desecrators. According to Andrei Yevlyukhin, an ITMO University research coordinator in St. Petersburg, the Khufu Pyramid and its “cousins” are often attributed all kinds of “magical” properties, including ability to “concentrate cosmic energy” and other unscientific phenomena. It wasn’t until a few years ago, however, that scientists started examining the pyramid’s real physical properties looking for previously undiscovered chambers with the help of muon scanners. Scientists surmised that the Great Pyramid, just like many other man-made objects, could act as a resonator focusing and amplifying waves commensurate with the size of the objects themselves. In this particular case the researchers were examining waves within the 200-600 meter (656-1,968 feet) range – the wavelength many amateur radio stations work on. Creating a computer model of the Great Pyramid, the scientists bombarded it with radio waves to see how they would interact with the pyramid as a whole and its elements. As these calculations have shown, the pyramid will indeed interact with the "amateur" radio waves, accumulating their energy inside the King’s Chamber redirecting it to the substrate region where the third chamber is located. Most of all, it will affect the waves with a length of 333 meters (1,092 feet) and 230 meters (754 feet). According to the authors, the Great Pyramid and its "brethren" can interact even more strongly with other types of waves, but this remains to be verified. In addition, the secrets of its structure can be used to create nanoparticles that focus light, not radio waves, which will help in creating light computers and other "gadgets of the future."